As an athlete, Doron J. Fetman knows more than anyone that experience with strategy and teamwork breeds success. Doron began his journey of entrepreneurship as a day trader in the 90’s while taking his family’s restaurant business to greater heights. His successful expansion and maintenance of the family business in his early 20’s was his first successful initiative as an entrepreneur, and there has been no going back. In 2003, Doron co-founded a brand of widely successful Kosher food concession stands across the country’s largest sports stadiums, which had previously never served any Kosher or Halal food to live sports attendees. His next endeavor was in 2006, when Doron co-founded what is now a widely used NASA-licensed technology to heat up frozen food in under sixty seconds from a vending machine. This technology enabled the distribution of sophisticated vending machines around the United States. His foresight and vision helped expand the Kosher vending industry to over 1,500 locations in less than a year, including airports, shopping centers, hospitals, universities, amusement parks, and stadiums. This serial entrepreneur’s achievements weren’t limited to the food industry. 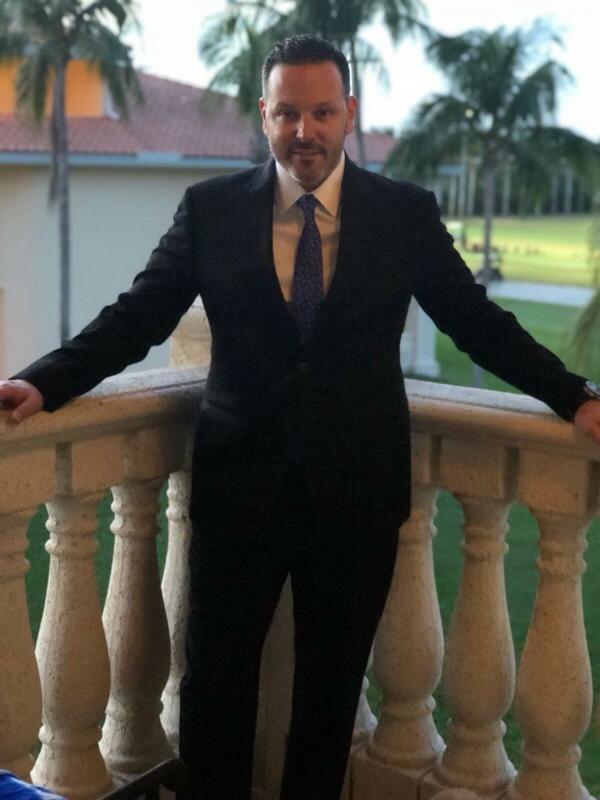 Doron was also an independent consultant who helped high profile clients launch both consumer and digital products to market, not just in the United States, but also around the world. He traveled across the Pacific and launched innovative products from Hong Kong, China, and Australia into North American markets, jumping on trends long before anyone caught wind of them. Doron realized that his business acumen, strategic approach, and calculated execution would achieve its fullest potential when implemented with vertically integrated creative services. He saw that services such as design, development, and marketing cannot be effective in and of themselves. Instead, they must be cohesively tied to an evidence-based strategy. Doron founded Eff Creative Group, based in Times Square, New York, which is today an internationally renowned, award winning, vertically integrated creative agency that provides a multitude of services to clients in the digital and consumer product space. Fintech, Fashion, Health & Wellness, Food & Beverage, and Celebrity are just a few of the industries through which Eff Creative spreads its magic. From consumer product launches to digital platform development to social campaigns that hold global resonance, there is little Doron and his team can’t achieve. By 2017, Eff Creative Group saw exponential growth, ranking #403 on the prestigious Inc. 5000 list of America’s Fastest Growing Companies. In the summer of 2017, Eff Creative Group began to set up its sister office, Eff Creative PTE, LTD in Singapore, aptly named “The City of the Future.” The Singapore office is set to launch in the summer of 2018. Doron currently lives in Manhattan, New York, and can be found coaching any of his four children’s sports leagues when he’s on a break from coaching his diverse team in creating state-of-the-art products for elite clients. Rod Baker’s first career involved being a pilot before settling on journalism. There he rose to editor and publisher of what was then one of South Africa’s largest magazines, Bona, and two other Black-market publications and a newspaper. He also reached top positions in the on-line publishing field, as Content Director for Africa’s largest B2B website. He has contributed and continues to contribute articles various magazines and websites. He is a published author of a number of successful books and editor of many, and is currently also producing training modules – text, images and illustrations – for Africa’s largest retail hardware chain. Denise Blasevick is the CEO and co-founder of The S3 Agency, a tradigital advertising agency creating breakthrough campaigns for clients such as BMW, Eight O'Clock Coffee and Wyndham Worldwide. An inductee in the Advertising Hall of Fame of New Jersey, Ms. Blasevick shares her expertise regularly on MSNBC's Your Business show. She is an avid scuba diver, crossword puzzle junkie, and relentless traveler – things she spends as much time as possible doing with her husband and 12-year-old son. Thao leads strategy and accounts at Grow Marketing, an experiential agency, driving engagement for the world's most iconic brands. An expert in digital marketing, social media and integrated marketing with over 10 years of work experience. Founder and CEO of the WebTalk digital agency and a board member of an independent marketing communications group composed of WebTalk and endorfina events. Co-founder of 3 other successful companies. A University of Warsaw lecturer. Being an experienced and extremely talented marketing expert, Irina is also a born leader, creative contributor, and true mentor. Working as Chief Marketing and PR Manager, she got rich experience in setting the marketing departments and building the sales strategies from scratch. Serial entrepreneur. Affiliate marketer of the year. Founder of the "Marketing By Data" movement. Business owner, coach and consultant, Rosen is helping small and medium businesses to grow their customer base by optimizing their advertising campaigns. Joe is a co-founder of Ticker Tocker, LLC and directs and oversees all aspects of the finance and marketing functions of the organization. In this role he has primary day-to-day responsibility for planning, implementing, managing and controlling all financial-related activities of the company. This includes direct responsibility for accounting, finance, marketing, forecasting, strategic planning, job costing, legal, property management, deal analysis and negotiations, investor relationships and partnership compliance. Joe earned his CPA in the mid-eighties, and is currently an owner and Director of Liberty Systems Inc. the parent company of Liberty Lines Transit, Inc., a Yonkers, New York based company that owns and operates 99% of Westchester County, New York's Bee Line Bus System. Joe is also a trustee for the TWU Westchester Private Bus Lines Pension Trust, as well as a Trustee of the TWU Westchester Private Bus Lines Health Trust. Joe has invested in several startup ventures since 1990, including insurance companies, real estate holding companies and other software ventures. Sandeep is currently Vice President for Cvent Inc., and is Head of Marketing for APAC & IMEA regions. He also heads Cvent's Global Demand Center based in Gurgaon, India. He has held senior leadership positions & managed diverse portfolios in companies like Honda Motors, Canon, New Holland tractors, Microsoft, Nokia & SAP in his illustrious career over the last 25 years. He holds progressive leadership experience in P&L management, technology & solution marketing , strategy, business development & Startup Operations, Sandeep has defined strategies to build brand visibility, driven opportunity creation , built channel strategies and created distribution channels to drive multi-tier sales engines in his various roles over the years. Known for his strategic thinking and execution focus, he has inspired trust, built teams and motivated people to perform and deliver results. Sandeep received his degree in Mechanical Engineering from Pune University & he holds Executive Masters in International Business from Indian Institute of Foreign Trade, New Delhi. He is a certified coach for Design Thinking from Hasso Plattner Institut, Potsdam & has completed several management development & leadership programs both in India & abroad. Marie O'Riordan is Senior Marketing Manager at PFS, Europe's No.1 Digital Technology company after winning an overall RSM European Business Award 2017/2018. Marie is a Member of The Academy of Marketing and is a former Journalist and Full Staff Member of the National Union of Journalists. She was CCO for 2 international technology companies and Chief Management Consultant for 2,944 companies on 6 continents including 11 Governments and 29 FORTUNE 500s. She worked directly with CEOs, Presidents, and Chairpersons in America. Her corporation in the US and her business in Europe experienced growth of 9,900% in the Great Recession. Mehmet Emin Oerge worked as C-Level Manager & Chief of Strategist for Publicis, BBDO, Proximity, Havas and M&C Saatchi in Turkey and served as Chief Brand & Marketing Strategist for more than 100 different local and global brands. He coordinated Proximity & Ericsson Mobility World partnership for mobile app startup incubation co-operation agreement’s Turkey program between 2004 – 2006. Since 2016, he shares his experience & know-how as a consultant to various established brands and start-ups for marketing, branding, digital integration. He is also a part-time lecturer at Bahcesehir University MBA program for Strategic Brand Management, Marketing Strategies, Services Marketing. I seek to forward my knowledge, take on new challenges, with Industry Leaders and Experts, expand my own business offerings and serve people all over the world as best I can. Alexandra is a proficient leader with over 7 years of experience in Project and Product Management, Business Development and Sales. She has strong skills in Negotiations, Crisis, Client and Risk management. Being an outstanding communicator she's also a good mentor and leader in the tech industry. Experience and expertise are the key foundations in her ability to provide deep insights into the industry and as result published or was a contributor to several tech and business articles. Michelle Stephens-Jules is a Chartered Marketer and Certified Strategy and Business Planning Professional. She leads a team of professionals as Chief Strategy Officer of the consulting firm Caribbean Strategy Inc. Mrs. Stephens-Jules holds a Masters of Business Administration from the Edinburgh Business School in Scotland and Post-Graduate Certificate in Marketing from the Chartered Institute of Marketing, UK. She has gained over 15 years’ experience in marketing, business development and strategic planning within the public and private sectors across the Caribbean. Having developed an expertise in identifying and resolving ineffective strategies, Mrs Stephens-Jules coaches clients to imagine, craft and implement turnaround strategies that drive market share growth and increased revenue; at the same time helping clients identify the right talent and resources to implement the strategies. Apart from her consulting work, Mrs Stephens-Jules writes in the Antigua, St. Lucia and Organisation of Eastern Caribbean States (OECS) Business Focus Magazines on business strategies and a wide range of other business topics targeted at entrepreneurs and small businesses. 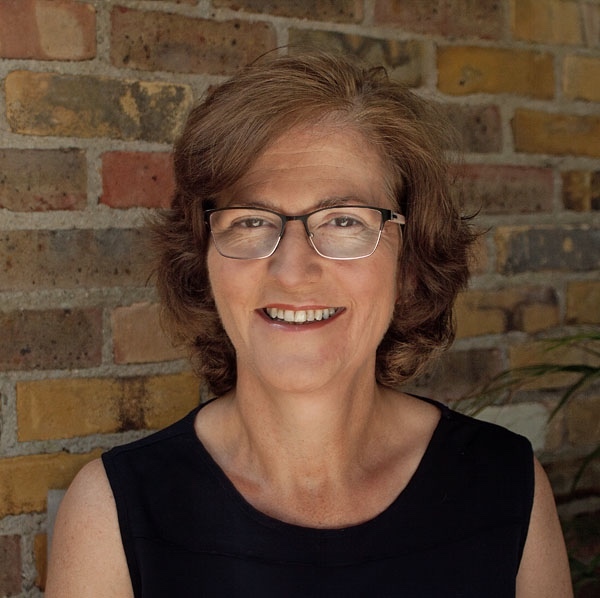 Juliet has over 30 years’ experience in consumer market research and insight and has helped hudreds of companies to optimise their communications and in-market/new product offerings to maximise profitability and ROI. In 2017, after more than 10 years as Senior Partner and MD of HPI, Juliet founded Windsoredge research, to focus on helping brands to gain maximum value and insight from their research and insight spend, including training client-side teams in how to achieve that. Juliet has a real passion for helping clients achieve their potential. Her work has won numerous marketing and research awards. Former CEO of McCann Erickson and founder of two advertising agencies and a number of related marketing service organisations in media, public relations and graphics. For the past fifteen years, Malcolm has been advising a number of marketing organisations across a spectrum of sectors from grocery to professional services and travel. Award- winning Healthcare and Wellness Communicator, with deep expertise in social strategy and integrated marketing, passionate to develop, drive, and execute results-driven digital healthcare communications strategies that align with overall brand strategy. I always partner with my clients to seek out and spearhead opportunities and develop highly-integrated digital programs that advance their healthcare communications and business strategies to influence behavior. Ky Wilson is a Melbourne based marketing and communications specialist with a focus on brand positioning and awareness; who has led an impressive career in her 16 years working in various booming Australian industries. Serving as the Australasian Marketing & Membership Manager at APPA, Ky plays a major role in raising the profile of the Australasian promotional product industry and education of end users in the benefits of the world’s only tangible marketing tool. Through her commitment to this role, she has helped APPA position itself as the leading industry body in promotional product marketing, education and advocacy.